Unfortunately, they don’t teach personal finance management in schools and colleges, owing to which you cannot help but feel confused on how to manage your money. You don’t have to get rich before you learn personal finance management. In fact, you will get rich only if you know how to manage your money. A person who is really good at personal finance management learns how to live well on limited funds. This person is usually debt free and stress free and has enough to retire on; what’s more, this person can be you, provided you take personal finance management seriously quite early in life. Here is some absolutely free financial advice for you. If you want to control money, you ought to know almost everything about it and how it works. It is no use asking others because you will be letting them take control of your money. Instead, it is time to borrow a few good personal finance management books from the library or purchase them if your wallet permits or visit some good financial advice site. There are plenty of absolutely free, but top quality personal finance management resources online. By the time you have completed your study, you will realize that you should now start making your money work for you. As far as possible avoid credit cards; and even if you must have them because you love those reward points, ensure that you make your payments in time. The best way to purchase anything is to save enough for it and then purchase it. Remember Warren Buffet’s top personal finance advice for young men and women. He urges young people to avoid credit cards because of their high interest rates, which are sometimes as high as 18 percent or 20 percent. He also points out that he will go broke in no time if he borrows money at 18 percent to 20 percent interest. You should learn the art of determining exactly where every penny goes; only then can you be exactly sure you are not spending more than you earn. Once you know exactly what you spend on, you can cut down unnecessary expenses and save the money. You will be amazed at how much you can save if you learn the art of effective budgeting. 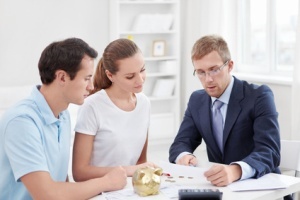 Again, you can get ample information on budgeting at most personal financial advice sites. One person who has the most rights over your money is you. After all, it is your money and you worked hard for it. So, make it a point to pay you first; in other words, give yourself a salary every month and never miss it. This is your emergency fund. You can get out of the worst financial problem if you have an emergency fund to dip into. If you take your emergency fund seriously, you will soon find that your emergency fund becomes so large that you can use it as a vacation fund or a retirement fund.